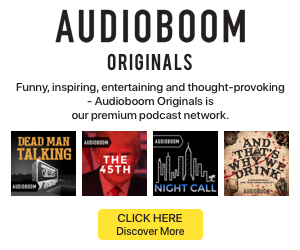 Podtrac has updated its rankings with the top 10 podcast publishers and the top 20 podcasts for April 2018. 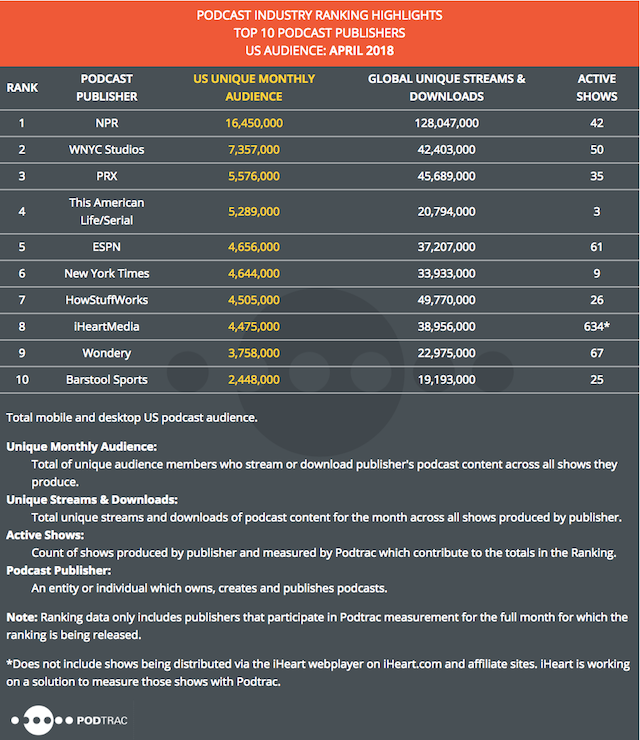 The publisher ranking found that the U.S. unique monthly audience grew from the previous month for seven of the 10 publishers. Total global unique streams and downloads for the roster dipped 2% between March and April, although the stat grew 75% from the April 2017 figure. The publishers in the ranking are unchanged from March, with only shuffles in placement. NPR remains securely at the top of the heap. On the show ranking, the only new addition from March is the return of 99% Invisible from PRX edging out Atlanta Monster from HowStuffWorks. 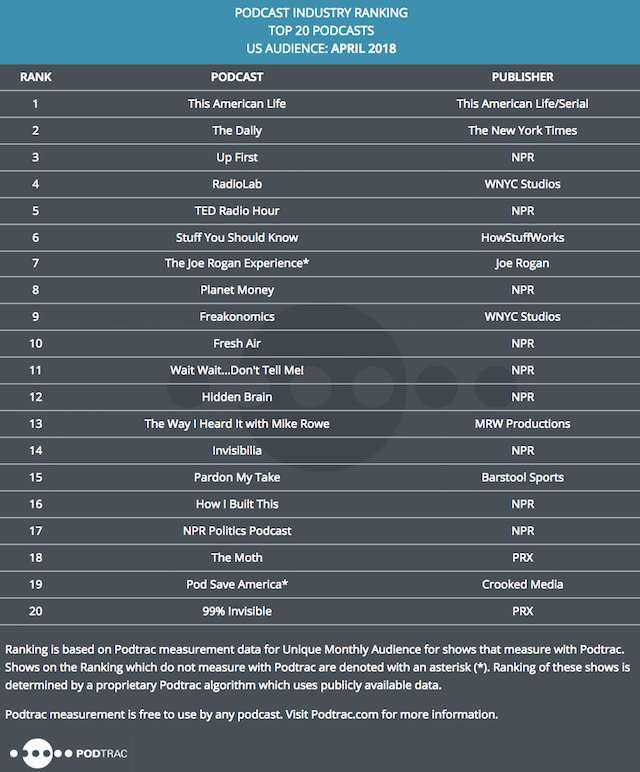 This American Life, The Daily, and Up First remained in the top three spots for another month.